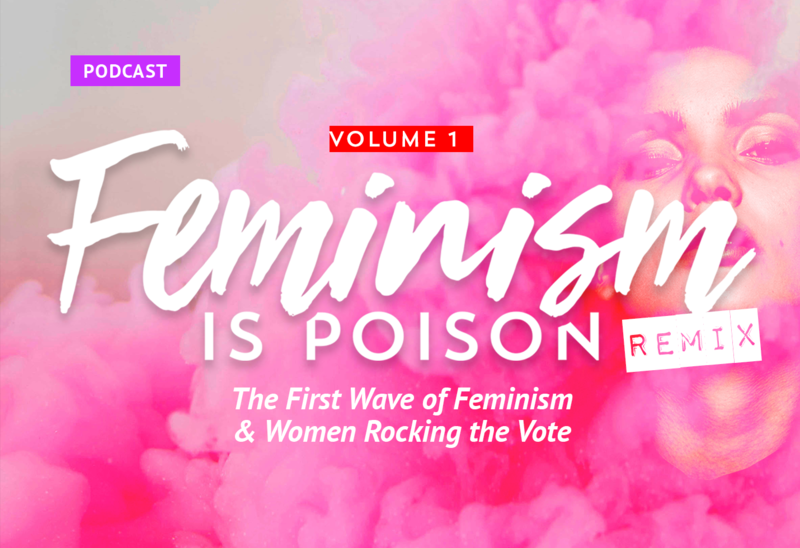 Since we released our first series on feminism, we have had a ton of follow-up questions, particularly in regards to what we had to say about the first wave of feminists and what their goals were. Today we answer those questions, and hope to offer a corrective of the pretty, doilied, snowglobe picture government education often gives us about this movement. We believe that the Prohibitionist Movement was evil, American chattel slavery was evil, and some of the key players in the Suffrage Movement were evil. We also believe that this movement, founded not on Biblical principles but humanistic principles, paved the way for the murder of millions, changed the face of the government itself, and is still negatively impacting us today. Tune in and find out how! 7:00 We quickly discuss some things we hope to accomplish and build on this year. 13:29 Why are we working through this again? 18:52 If you had a typical government education, you might think the original feminists were some nice Christian ladies who just wanted some equal rights. 23:27 Why can’t we be on the same team as the early feminists, even though we have points of agreement? 31:15 The first wave of feminists did not hold to Biblical ethics, and one of the outworkings of that can be seen in how they view the self, and how they looked to the government to address issues that the government is not biblically responsible for. 37:22 Do we think that women should vote? 41:15 How has women gaining the vote change the role of the government? 45:00 Margaret Sanger began her work during the First Wave. 48:00 There is a biblical distinction between the roles of the government, church, and the family that the first wave feminists ignored. Could you link to the first episode(s) on feminism? Hopefully, those who haven’t heard them will tune in as well. Hi Ladies! Could you post a book list on this topic? I enjoyed your podcasts about the first-wave feminists. I had not heard a discussion of what they believed biblically. It was very interesting. I heard you make the comment about how these feminists wanted the government to fulfill tasks that the family & church should provide, the implication being that the church wasn’t providing those things. Do you think they would have been happy if the church had been doing those things? My guess is they weren’t interested in biblical-based solutions, but only secular ones. I think I’d agree with that since the major players in the movement were in heretical churches anyway. So happy you are doing this again. Your arguments convinced me the first time and I am looking forward to further clarity. I didn’t even know I was a feminist. First time listener to the podcast and I love it! I’m looking forward to listening to the episodes before this. I used to strongly identify as a feminist but as soon as I started to search the scriptures, my bearing changed. Not willingly at first but I believe the work in my heart, in that regard, has been immense. It used to disgust me every time someone pointed out the obvious disparity in feminist ideals and the word of God but now I find myself in the ‘offensive’ position. I can’t wait for the growth 2019 will bring! I love your podcast! It’s a great blessing and I hope there will be many more for women to spin off of yours. Thank you! I’m enjoying this series and pretty much all your episodes. Could links to your sources and mentioned in these episodes be shared so we can also follow the facts. Someone asked me some stuff and I would prefer being able to link him to articles and documentation instead of linking to an hour long podcast episode that they may or may not be patient enough to sift through.